NEW Kodak Mini 2 Instant Photo Printer Black Wireless KODMP2B MP2-B FREE Ship! 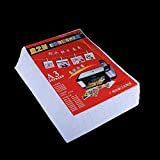 Taking pictures has become the most popular and trendy thing in today’s society, and printing them quickly and easily is essential for every photography lover. However, when it comes to choosing a photo printer, there's a lot to consider. With a ton of options currently on the market, it can be difficult making a decision. That's why we here at Comparaboo have put together this shopping guide to help you find the photo printer that's right for you. 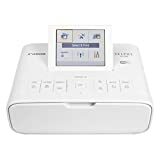 There are essentially four types of photo printers to choose from: Basic Photo Printers, Wireless Photo Printers, All-in-One Photo Printers, and Compact Photo Printers. Let's break it down. Basic Photo Printers: These are simplest and most budget-friendly photo printers. They're suitable for everyone. You just have to set it up at your home or office, and get to snapping photos. When you come back from your vacation or outing, you just plug in your camera or memory card and print your photos. Wireless Photo Printers: For those looking to cut the cord, these photo printers are ideal. 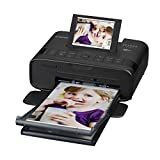 When you're ready to print your pictures, your device can connect to the printer via WiFi or Bluetooth, and voila, your photos are ready to go. All-in-One Photo Printers: If you're the kind of person that likes to save space and multi-task, this is the right choice for you. You'll have everything -scanner, printer, photo printer and copier -all in one machine. Consider it your very own photo station. 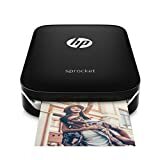 Portable Photo Printers: For the photographer always on the go, these portable photo printers offer a compact, yet high-quality option whereever you may be. You can take a picture of the Grand Canyon and instantly print it to share with anyone you like. Comfortable and easy - Customers are commenting that they want the quickest and easiest photo printers to use. The less to set-up, the better. High-quality photos - Everyone wants their printed pictures to be the best quality, and to have colors match with the original picture on the camera or other device. 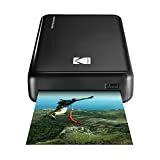 Wireless - Most photo printer owners are opting for the wireless versions, as they are much simpler and more comfortable to use. Buy a photo printer that is compatible with your smartphone or other device. That is how you'll avoid unexpected and bad surprises. Choose according to your lifestyle. If you travel a lot and like printing photos as soon as possible, then aim for the portable photo printers. Pay attention to the DPI specs. DPI stands for Dots Per Inch and it determines the quality of the printed photos. The higher the resolution, the greater the quality will be. Canon - A Japanese multinational corporation specializing in the manufacturing of imaging and optical products, including cameras, camcorders, photocopiers, steppers, computer printers, and medical equipment. Epson - A Japanese electronics company and one of the world's largest manufacturers of computer printers, and information and imaging related equipment. Brother - A Japanese multinational electronics and electrical equipment company known for products including printers, multifunction printers, sewing machines, large machine tools, label printers, typewriters, fax machines, and other computer-related electronics.